Cloud computing and cyber security might seem like two very different areas in the tech industry. However, they are increasingly connected to such a degree that people who work in one area are likely to end up requiring at least some degree of familiarity in the other. In fact, learning about cyber security can be a huge boost to your career in a number of cloud computing jobs. The fact is, cloud computing is no longer just a trend in the tech industry; 96 percent of businesses use cloud computing in some capacity. Many businesses expand to the cloud without securing their data first, which can result in major security issues. In the coming years, you won't have to choose between working exclusively in cyber security or cloud computing; working in one field will likely mean understanding the other. If you are interested in a career in cloud computing, it makes a lot of sense to pursue an education in cyber security as well. Here are some of the ways that common cloud computing jobs can benefit from a cyber security education. As a cloud network and datacenter administrator, you would be responsible for the day-to-day operations of a cloud computing network. While you might not work directly for your organization's cyber security department, you will have to keep in regular communication with them in order to ensure that your organization's cloud data stays as safe as possible. As a network architect, you will help build cloud networks from the ground up and maintain them after they go live. Understanding basic cyber security can make your job much easier, as well as the jobs of your firm's cyber security team. The more you know about cyber security as a network architect, the more you can implement that knowledge into your plans, saving valuable time and energy that would otherwise have to be spent working with the cyber security team to iron out security holes in the plan. When you are the head of a virtual server, it be enormously helpful to understand basic cyber security operations. Virtual servers are actually a crucial tool in cyber security; by isolating malware in a virtual machine, a cyber security expert can study how it might spread without the risk of it doing any damage. As a virtual server administrator, you might well find yourself working directly with cyber security teams as they work on crucial research. When a business installs a new network, it can be a huge hassle for everyone, which can lead to major security vulnerabilities. As employees learn new network protocols and update their passwords, there is ample opportunity for someone to slip up and create a point of entry for a cyber attacker. If you work in network implementation, one of the most important parts of your job is making sure everyone in an organization is implementing best practices. Making best practices clear and easy enough to follow will go a long way toward keeping that organization's data safe. With so much crossover between cloud computing and cyber security, studying cyber security can be a huge boost to your cloud computing career. A formal education in cyber security might be just the thing for you to take your career to the next level and land the job you really want. If you're just starting out in a career in cloud computing, studying cyber security in a formal setting can give you a set of skills that will be extremely appealing to prospective employers. A formal education doesn't just give you a degree. 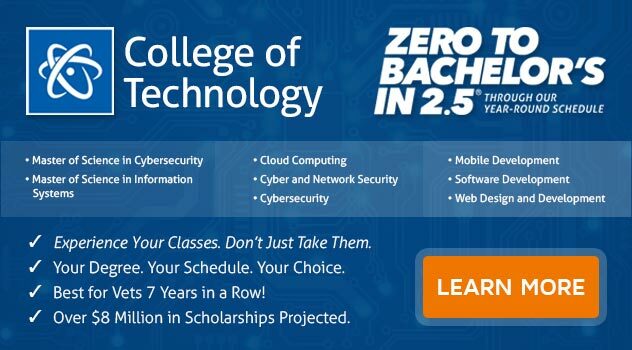 You will learn the latest in cloud computing and cyber security and how those two fields intersect. With so much sensitive data being moved to the cloud, companies prize keeping it safe. With a formal education in cloud computing cyber security, you should be able to do just that. Ready to Get Started on Your Career Path? If you are interested in cloud computing, you definitely need to pay attention to cybersecurity as well. If you want to earn a Bachelor of Science Degree in Computer and Information Science with a Major in Cyber and Network Security - Cloud Computing Track, ECPI University offers this degree at an accelerated pace. For more information, connect with a helpful admissions professional today.